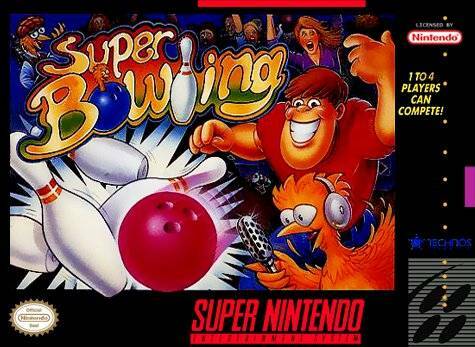 Super Bowling for Super Nintendo gives you four bowlers to choose from, each with unique characteristics and strategies. "Pins" Peterson has an even mix of style and power; "Spinner" Spencer is a master of the spin; "Red" Randall plays with amazing precision; and "Muscles" Maxwell believes in the power of pin intimidation. You're in control of everything position, aim, spin, and power as you toe the line and knock em down. Three gameplay options 10-Frame Turkey Bowling, Practice, and Golf Bowling.